Activities highlighted in RED are located at the Outdoor Stage. Activities highlighted in BLUE are located inside the Marcy Scott Media Center. FREE for Veterans and $55.00 for Non-Veterans. Hands-on workshop, which includes a t-shirt and lunch. Hosted and Organized by Tiny House Nation’s Zack Giffin and Operation Tiny House, and in partnership with Milwaukee Tools, Mustard Seed Tiny Homes, and Vintage Lumber Sales. Registration is available on-line by CLICKING HERE. 9:00AM-2:00PM: FREE Field Trip Day for Public, Private and Homeschool Students (Ages 5-18). This is for pre-registered schools and students ONLY, and is NOT open to the general public. 9:15AM: Outdoor Stage – Opening Comments and Announcements. 12:00PM: Composting Toilet Workshop – Presented by Nature’s Earthly Way at the Nature’s Earthly Way booth area. 12:00PM: Alternative Energy Battery Storage Workshop – Presented by Trojan Battery at the Trojan Battery booth area. Children’s activities, food concession sales, showings of Tiny House Expedition’s documentary “Living Tiny Legally”, and all the tiny homes will be available throughout the day*. Additionally, children’s author Susan Schaefer Bernardo 7 Courtenay Fletcher will be reading their book, “The Big Adventures of Tiny House”. 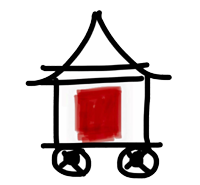 5:15PM: Outdoor Stage – Tiny House Awards Presentations, Prize Give-Aways, and Closing Statements. Children’s activities, food concession sales, showings of Tiny House Expedition’s documentary “Living Tiny Legally”, and all the tiny homes will be available throughout the day*. Additionally, children’s author Susan Schaefer Bernardo & Courtenay Fletcher will be reading their book, “The Big Adventures of Tiny House”.